You will be amazed with the power and comfort of the Everest. Submerse yourself in the comfortable lounge or therapeutic hot seat to relieve the stress and strain of daily life. Turn on the powerful whirlpool jets to create a relaxing current or use them as a high pressure massage for legs and lower back. 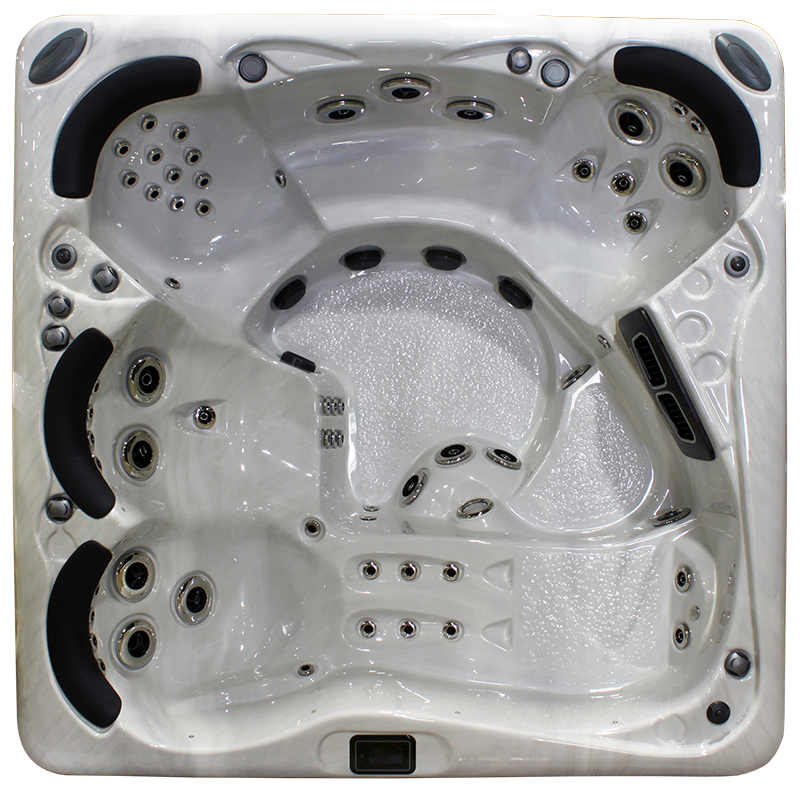 The unique vertical jets located in the companion and swing seat provide a unique upward current that you will not find in most spas. 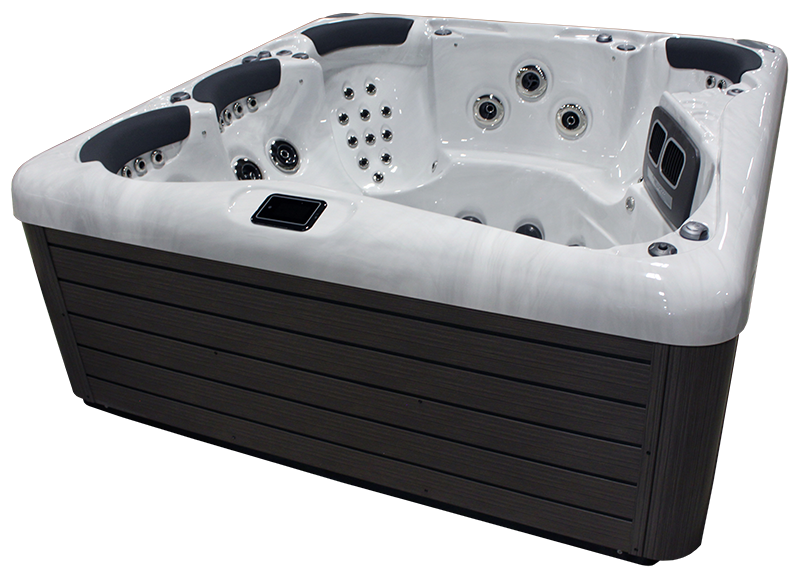 Dual controls, foot massage dome and soothing water features are just a few of the other standard options you will find in the Everest. • Empty: 875Lbs. / 398Kgs. • Fill Weight: 4424Lbs. / 2010Kgs.